NEW DELHI: India is likely to raise with the Trump administration the use of US-made anti-tank guided missiles (ATGMs) by Pakistan Army to target Indian troops along the Line of Control in Jammu and Kashmir, defence ministry sources indicated on Saturday. Army sources had said that the Pakistan army used 120mm mortars and the ATGMs in the Rajouri attack, adding usually Pakistan uses 80mm mortars to target Indian posts along the LoC. The security establishment here is understood to have been concerned over use of US-made ATGMs by Pakistan considering the expanding Indo-US strategic ties. “We are going to raise the issue with them (the US)”, said a source. The defence and security ties between India and the US have been on an upswing. In June 2016, the US had designated India a “Major Defence Partner” intending to elevate defence trade and technology sharing with India to a level commensurate with that of its closest allies and partners. The Army last week had clearly indicated that it would take retaliatory action against the killing of four army men. 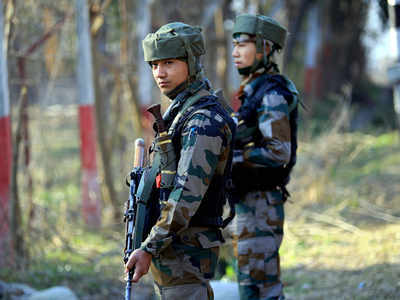 The sources said that Pakistan has been escalating the hostilities along the LoC and in hinterland in J&K to vitiate the atmosphere ahead of panchayat polls in the state. Custom Tote Bags – What are your options?